Dr. Leah Dundon is a practicing attorney with the law firm of Beveridge & Diamond, P.C., one of the nation’s premier environmental law firms. 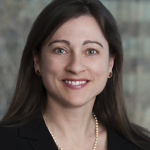 Her practice has focused on civil litigation in both state and federal courts and on advising clients on regulatory matters arising under environmental laws. She has also served as the chair of the Committee on Innovations, Management Systems and Trading, a committee of the American Bar Association’s Section of the Environment, Energy and Resources. Leah is currently working on her Ph.D. through the Center for Environmental Management Studies at Vanderbilt University and is part of a research group that focuses on enterprise risk management, assessing the impacts of extreme weather on infrastructure adaptation, and the strategic and operational deployment of intelligent transportation systems. Leah received her law degree from Vanderbilt University in 1997 and her B.A. from American University in 1993. Use the link below to learn more about Leah and some of her research with VECTOR. 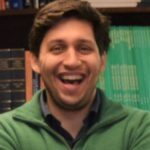 Dr. Amirhassan Kermanshah joined Vanderbilt University in February 2018 as a Postdoctoral Scholar in Department of Civil and Environmental Engineering. He has received his Ph.D. from University of Illinois at Chicago with a special focus on resilience of urban infrastructures to extreme events (i.e., floods, earthquakes, and environmental extreme events) and climate change. Prior to that, he obtained his M.S. degree in Civil and Environmental Engineering from Sharif University of Technology in Iran with a thesis on investigation of dust-causing factors in western Iran and their impacts on climatic change through remote sensing methods. He also had the chance to work in Environment and Water Research Center (EWRC) during his B.S. and M.S. degrees at Sharif University of Technology, contributing to their projects in analyzing energy consumption, predicting and modeling the discharge of rivers using satellite images and climate indices, and safe water reuse capacity development. He is a pragmatic engineer who believes new scientific methods can make cities more Resilient, Sustainable and Smart.